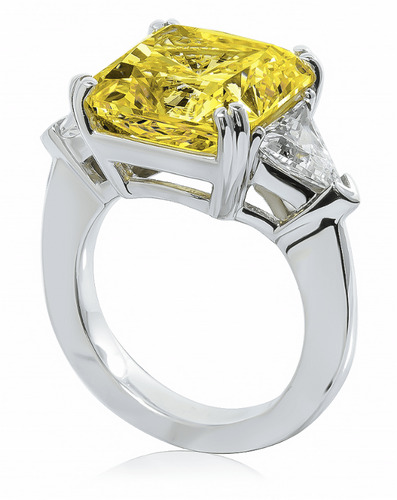 The Laurent 8.5 Carat Canary Princess Cut Split Prong Set and Trillion Cubic Zirconia Engagement Ring features a 12mm princess cut square that is canary yellow in color. 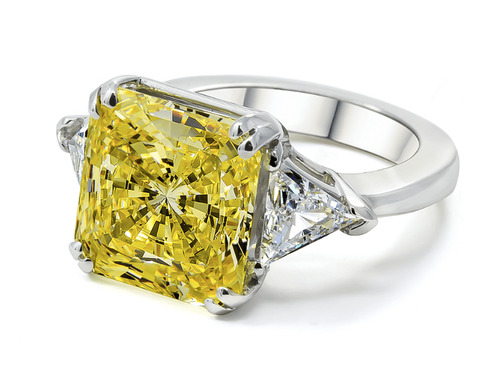 The lab created laboratory grown cubic zirconia simulated diamond look trillion side stones beautifully compliment and enhance the canary center. 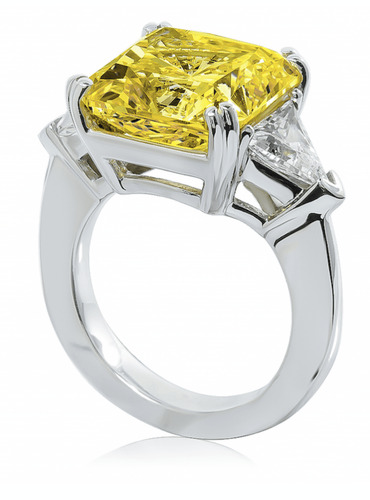 This ring features split prongs that secure the center stone. 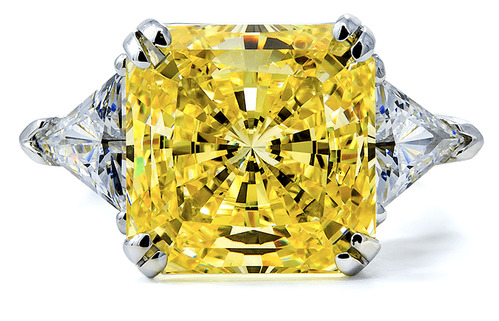 Our Russian formula diamond quality cubic zirconia is hand cut and hand polished to exact diamond specifications for a stunning finished product. Available in 14k white gold in ring sizes 5 through 7. 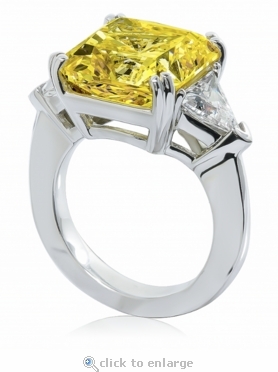 The Laurent Ring is also offered with additional options, see item R2000Q85. For further assistance, please call us directly at 1-866-942-6663 or visit us via live chat and speak with a knowledgeable representative.